There was definitely a time when I thought it was super cute to purposely misspell the names of foods that were vegan versions of non-vegan foods, like cheeze and creem. Yeah. I don't do that anymore. Spelling it wrong, is like admitting that it's not real food, and vegan food is far from being fake. And while I am a big fan of making vegan versions of traditionally non-vegan foods, I have come to adopt the line of thinking shared by many of us, including the insprational Colleen Patrick-Goudreau. She doesn't even say "vegan version," instead she has replaced that terminology with "edible"(vegan) versus "inedible"(not vegan.) I LOVE IT! I am going to start using that terminology, too. And we've come full circle...back to the beginning. 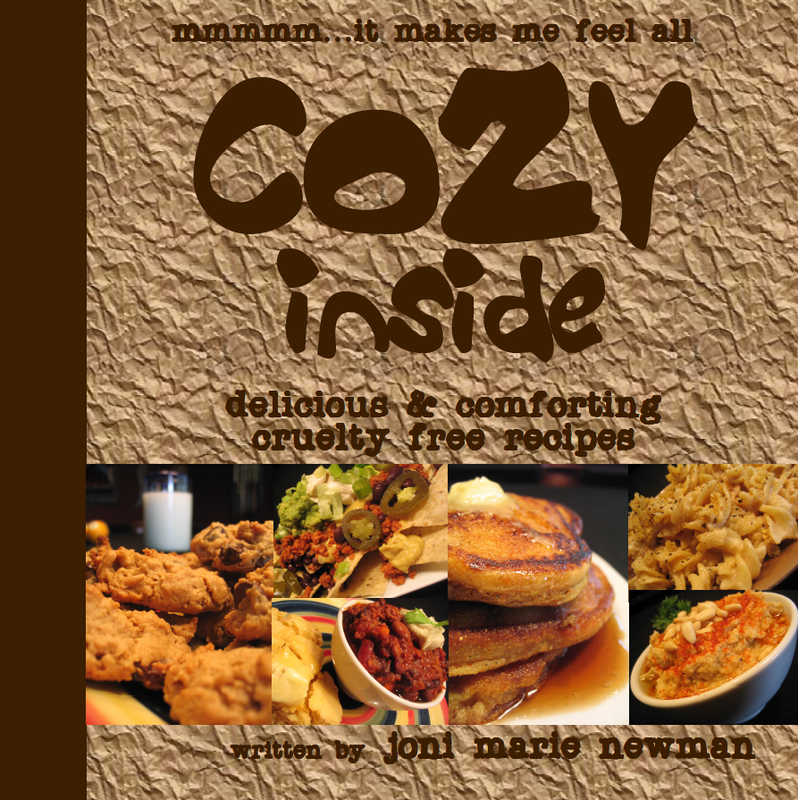 Another recipe from Cozy Inside. 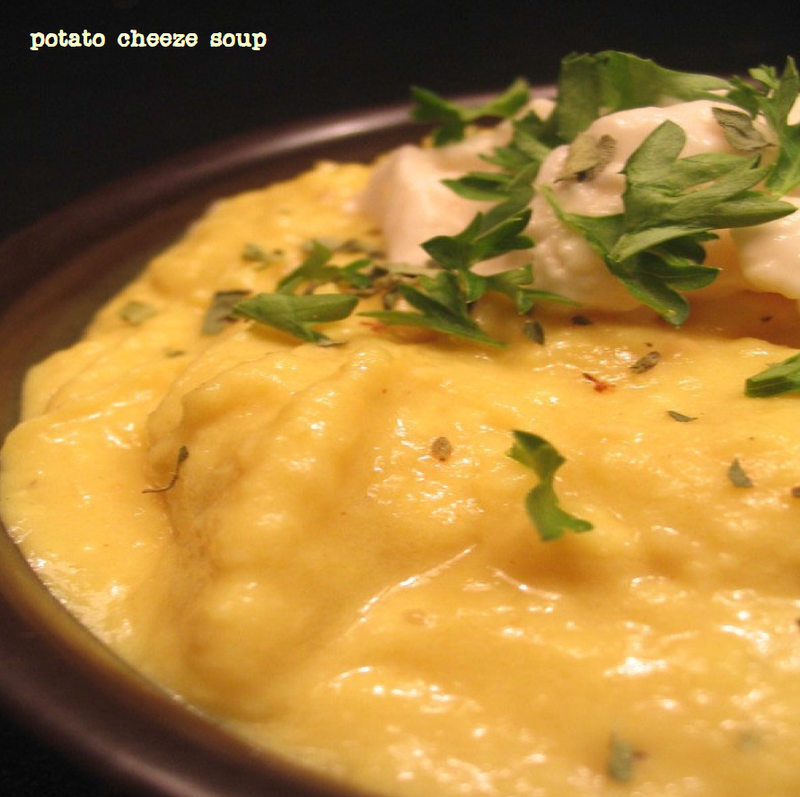 This time for a hearty Potato Cheese Soup. Enjoy this soup baked-potato-style topped with a dollop of edible sour cream, edible bacon bits, and chives. This and the split pea soup from that cookbook are two of my winter soup staples. Love them! I'm wondering why I've never made this becuase it sounds ridiculously good. I need to make it this weekend I think!